Just ten years ago Russia’s aviation industry was all but grounded, but in the past five years the state has increased funding twenty times. Russian aviation industry is being cleared for take-off once again. 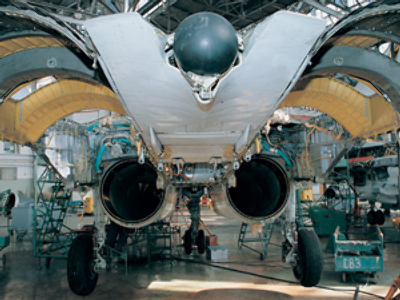 In the beginning of this decade, Russia’s civil aircraft production had had its wings clipped so much that no more than a dozen or so planes limped off the production lines each year – a far cry from the heady heights of the USSR, when Soviet jets thrust for dominance in the skies against Boeings and Airbuses, making up a quarter of the world’s fleet. In 2006, the Russian government decided to do something about this jet lag and created the United Aircraft Corporation, or UAC, consolidating aircraft construction companies and state assets in the industry. Today, Russian plane-makers even say they are ready to eat into the lucrative market of the world leaders, Airbus and Boeing. And while a brand spanking new range of all-singing, all-dancing Russian-made passenger jets is still far from taking off, there's much hope on the horizon. Despite many problems, those dealing with them on the ground are convinced the lowest point of the crisis has already passed, and they believe there’s a bright future for the Russian aviation industry. 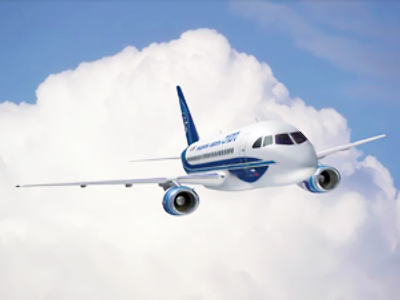 The Sukhoi Superjet-100 is Russia’s first post-Soviet middle-range passenger jet. Sukhoi’s chief-pilot Aleksandr Yablontsev, who with more than 30 years of experience, was the man at the controls on its maiden flight. He speaks of it with fondness and it seems he's not the only one. 120 orders have already been made for the new bird, and the first planes are expected to be handed over by the end of the year. The Superjet is just the beginning though. For the UAC, bigger appears to be better, and it's setting its sights on the much more lucrative mid-range jet market- and flying the Russian industry right into the heart of Boeing and Airbuses main territory. So after a turbulent few years, Russia's aviation industry appears to have cleared the storms created by the collapse of the Soviet Union, and will be hoping it has the products that'll fly in the fleets of airlines around the world.